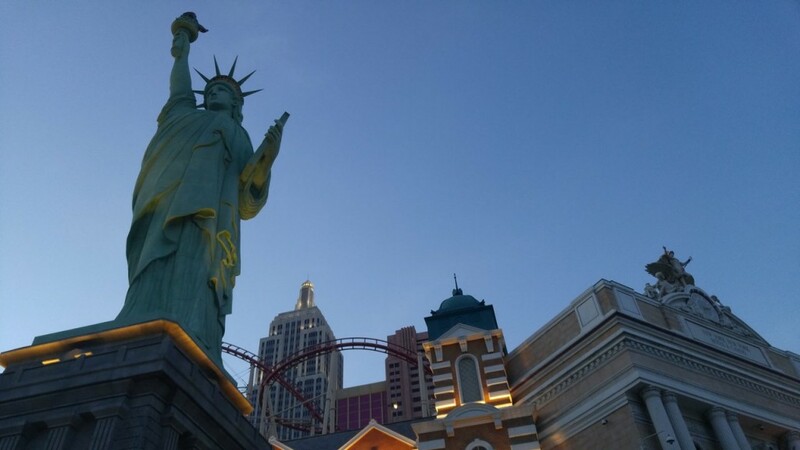 If you are planning a trip to Las Vegas you’ll quickly realize that most of the things you are planning on doing are activities for the evening and night. When you think of a Las Vegas vacation you immediately conjure images of gambling, drinking, nightclubs, fine dining, and spectacular shows. Sure you’ll be up later than normal and sleeping in, but what are you supposed to do with the rest of your day? Don’t worry, you certainly won’t be sitting around bored in your hotel room. Plenty of visitors are out exploring Las Vegas in the daylight hours as well. 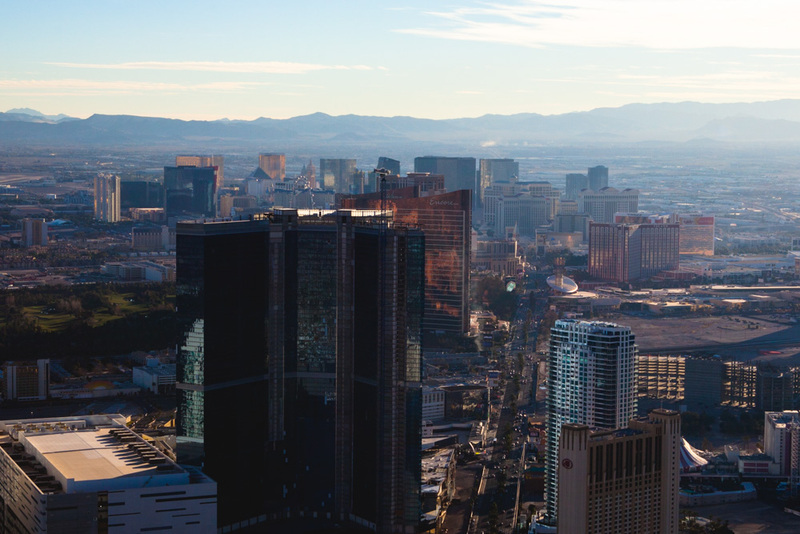 To help you plan your trip we’ve put together a list of our top 10 things to do in Las Vegas during the day. The Las Vegas Strip is full of interesting sights and interesting people during the day. 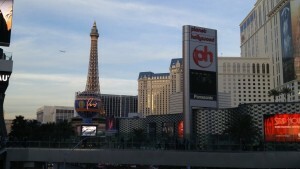 Walking the strip is a great activity for your first day or two. It’ll help familiarize you with the location of the major resorts and casinos. 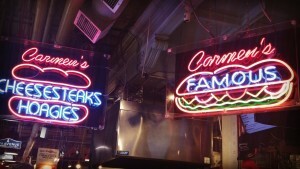 Most of the restaurants, theaters, and night clubs are located in the giant hotels. Seeing all of the landmarks during the day will help you determine how far away places are and how you’re going to get between places at night (ie walking vs. taxi). While you’re out, there are plenty of souvenir shops if you’re interested in taking home any shirts, shot glasses, magnets, or key chains with “Las Vegas” written on it. If nothing else, walking the Las Vegas Strip makes for some entertaining people watching. Just know that if anyone in costume sees you taking a picture of them they will approach you for tips. Brunch with friends is a great way to start a weekend. And in Las Vegas, every day feels like the weekend. Doesn’t matter if you are looking for a high end restaurant to cook your bacon and eggs to perfection or if you’re more into an all you can eat buffet. You’ll find that there’s a brunch to suit every style in Las Vegas. My personal recommendation is the breakfast buffet at Chin Chin, the Chinese Cafe located inside New York New York. Even though it’s a Chinese Cafe, the brunch food is mostly traditional American foods like pancakes, waffles, bacon, and eggs. If you go to Chin Chin make sure you try their amazing red velvet pancakes. After you check into your hotel and get up to your room you’ll want to call down to the spa and make an appointment for a spa day while you’re on your trip. I’ve only stayed in the MGM Grand, but I know the other major hotels all have spas as well. Enjoy a manicure, pedicure, massage, or just sit in the sauna or whirlpool. The spa will make you feel both relaxed and like a VIP. If you are going to Vegas in the summer then spending a day by the pool is a must. Note that although the weather stays decently warm all year round, a lot of pools close for the winter months. As long as you are in Vegas when the pools are open you’ll have tons of options. Some of the Las Vegas pools are great for relaxing, some have fun features like a lazy river, wave pool, or a swim up blackjack table, and some are family friendly. Some pools even have adult only pool parties that will evoke memories of the dance club the night before, DJ and all. The Stratosphere Hotel is pretty far down the strip, so depending on where you are staying you’ll probably want to take a taxi or the monorail to get there. The Stratosphere is a very tall building with an observation deck up top. It’s worth a trip to the Stratosphere for the view alone, but while you’re there you should purchase tickets for one (or more) of the four amusement park type rides that are also at the top. X-Scream is a roller coaster that goes right off the side of the building and stops (if you’re lucky) when it runs out of track. Insanity is a spinning ride where the arms pull you up so you are facing the ground as you spin out over the edge of the building. Big Shot is a vertical drop ride much like you’d find at any other amusement park. It first pulls you up and holds you at the top until you’re dropped back towards the ground. These types of rides are a lot of fun already, but being on the top of a 109 story building only adds to the fun. Last but certainly not least is the Sky Jump. You’ll be harnessed in and will jump right off the side of the building in what appears to be a completely vertical zip line type ride. Of course you’re safely slowed to a stop at the bottom. It’ll take some guts to attempt this ride, but if you’re up for the challenge I’d highly recommend making reservations. By the time I got there, there weren’t any more spaces available that day. I’ll have to try again next year! The Luxor is the pyramid shaped hotel on the strip and inside are two fantastic exhibitions. The Titanic exhibition has over 250 artifacts recovered from the actual Titanic shipwreck site. You’ll be given a boarding pass when you enter the exhibit with real passenger names printed on it. You’ll travel through a collection of real artifacts and recreated parts of the ship and at the end you’ll find out whether you were one of the survivors. Bodies is the other exhibition inside the Luxor hotel. Bodies is almost exactly what it sounds like and yet so much more. There are 13 whole human body specimens and over 260 organs or partial body specimens. The preservation process that was used provides a unique look into the human body that most people who aren’t med school students would never get the opportunity to see. If you’ve walked down the Las Vegas Strip then you’ve noticed that there are tons of souvenir shops, but Las Vegas also has quite a bit of retail and high end shopping. Whether there is something you forgot to pack, you want to buy something nice to remember your trip, or you just want to do some window shopping, you can easily make a day of shopping in Las Vegas. I recommend you start at the Grand Canal Shoppes inside the Venetian. You’ll be inside the building but you’ll feel like you’re outside. The Grand Canal runs right past the stores and the ceiling is even painted to look like the sky. While you’re at the Venetian take a ride on one of the gondolas. You can choose to ride with other visitors or to reserve a private gondola for two. You’ll also have your choice of an indoor or outdoor ride. Be prepared for your gondolier to sing and entertain you throughout your journey. Do you like exotic cars? How would you like to test drive one? Even better, how would you like to test drive one on a race track at top speeds? 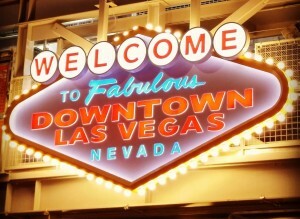 Well of course Las Vegas is the place to do so! Choose from a selection of Lamborghinis, Aston Martins, Ferraris, Porsches, and more. A professional instructor will help show you the course and improve your lap time. This would make for an especially fun daytime activity for groups of friends in Las Vegas for bachelor or bachelorette parties. Last but certainly not least is the Bellagio Botanical Gardens. This may actually be the only free activity on the list other than walking the strip (assuming you don’t stop and buy anything). The botanical gardens have beautiful displays crafted out of flowers. It’s a nice place to take a stroll and snap some pictures. 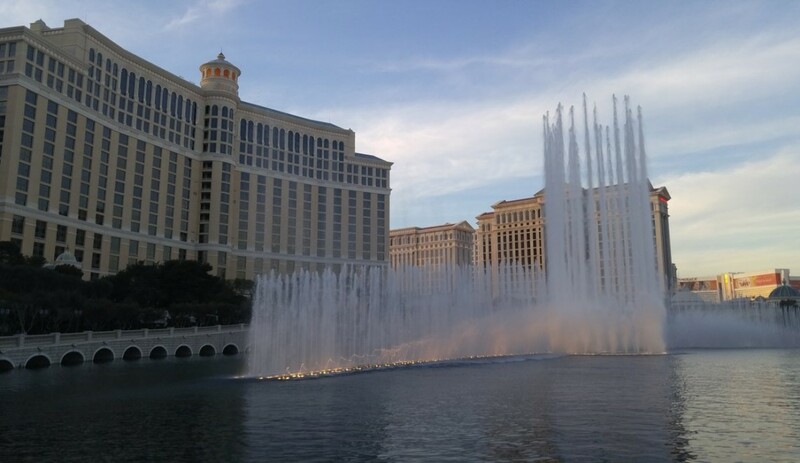 Once you are done exploring the gardens make sure you stop out front of the hotel and watch the Bellagio fountain water show. The fountains operate between around noon and midnight each day in either 15 minute or 30 minute increments depending on the exact day and time. A full schedule can be found here. What are your favorite Las Vegas daytime activities on this list? Is there anything that we missed? Let us know in the comment section below!